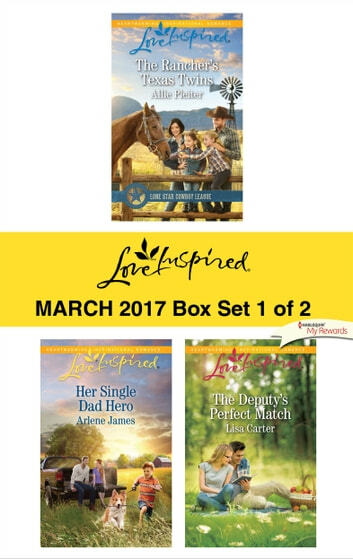 Rancher Gabriel Everett needs single mom Avery Culpepper to remain in town for the sake of the boys ranch. So he offers his place for a few weeks—just long enough for the pretty mom and her adorable twins to turn his empty house into a home full of love. Coming home to look after her ailing father and his ranch, Ann Billings never expected to be confronted with Dean Pryor and his son. The city girl can’t help but clash with the rugged farmer—or stop falling for his caring ways and his endearing little boy. Librarian Evy Shaw is in Virginia to bring closure to her past. But will her plans for the future change when deputy sheriff Charlie Pruitt joins her book club and starts breaking down the walls around her heart?